Christmas markets can be traced back to Europe, but thanks to immigrants to the United States bringing their tradition across the Atlantic, Americans can experience the magic of holiday markets without traveling overseas. Here are 15 of the best around the country. Arlington, Texas, isn’t just home to Jerry World. 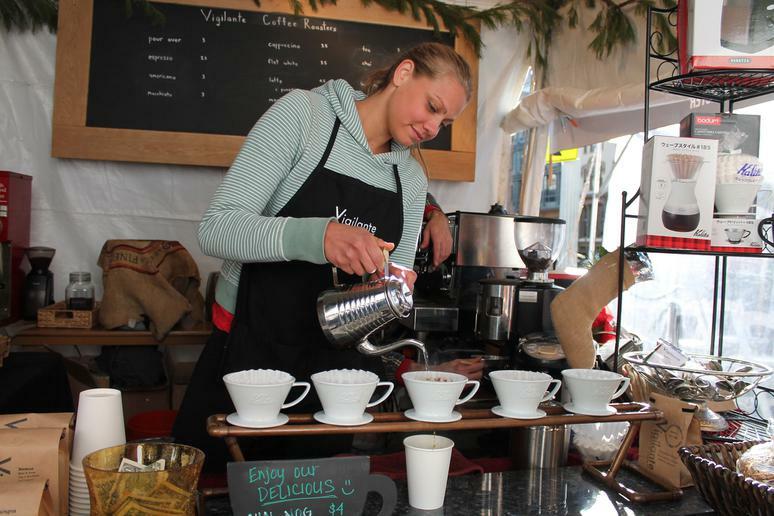 It also hosts one of the country’s best Christmas markets. The popular Texas Christkindl Market can be found inside Enchant, a new event that also features the world’s largest light maze, a skating rink and 21 food trucks. More than 80 vendors will be on site selling gifts, treats, arts, crafts and more. 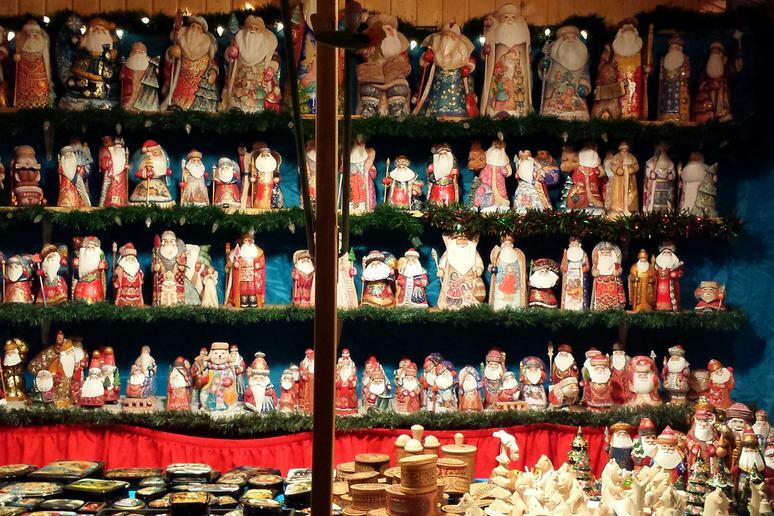 The Christmas Village in Baltimore is patterned after traditional German Christmas markets. 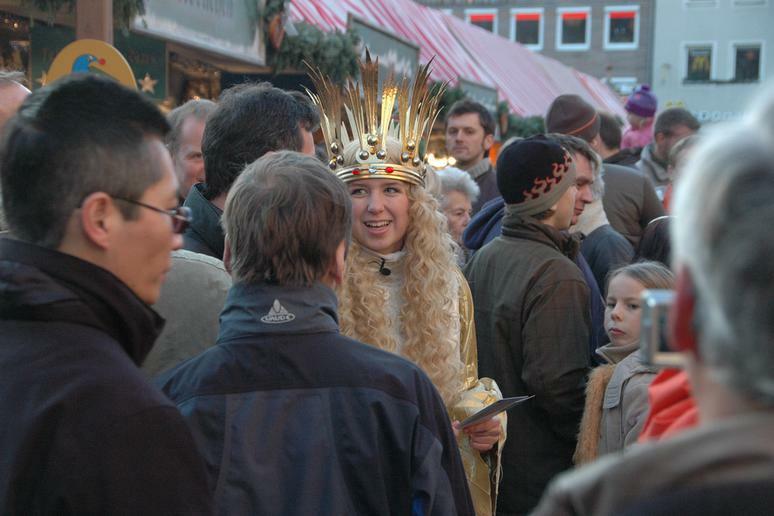 In fact, the original Christkind, a young woman chosen to dress as an angelic bringer of gifts, travels from Nuremberg, Germany, to open the market each year. There are also Bavarian folk dancers, a Bratwurst eating contest, wine tastings and other events and performances. Even the shopping is international as vendors sell food, ornaments, decorations and more from around the world, including Germany, Ukraine, Egypt, Ireland and Russia, as well as from local Baltimore artisans. Known as “Christmas City USA” by virtue of its name, Bethlehem celebrates all things Christmas, including hosting a Christmas market that attracts as many visitors as the entire town’s population. In 2016, 70,000 people visited its Christkindlmarkt, which features goods from 150 vendors, including holiday decorations from Germany, as well as ice sculpting and glass blowing demonstrations. Southeast of Rochester, NY, is the small town of Canandaigua, which puts on a big Christkindl Market. 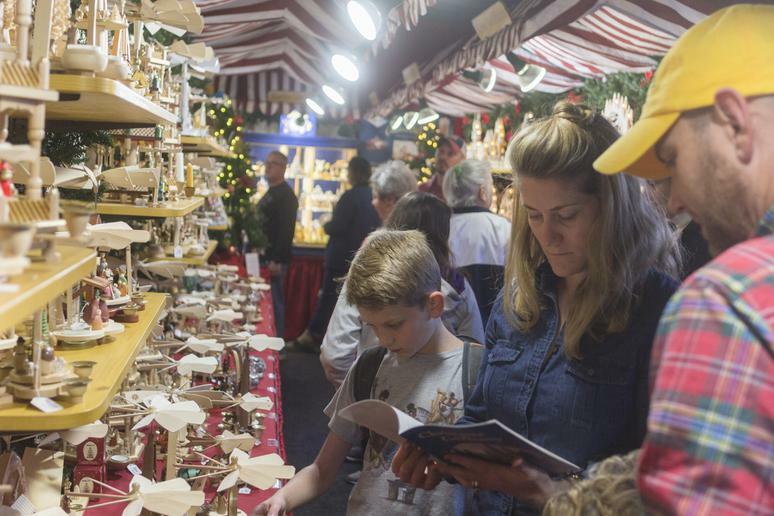 For the past decade, Canandaigua has hosted more than 150 vendors selling homemade goods on the lawn of its historic Granger Homestead in a traditional German-style market complete with a local Christkindl angel. 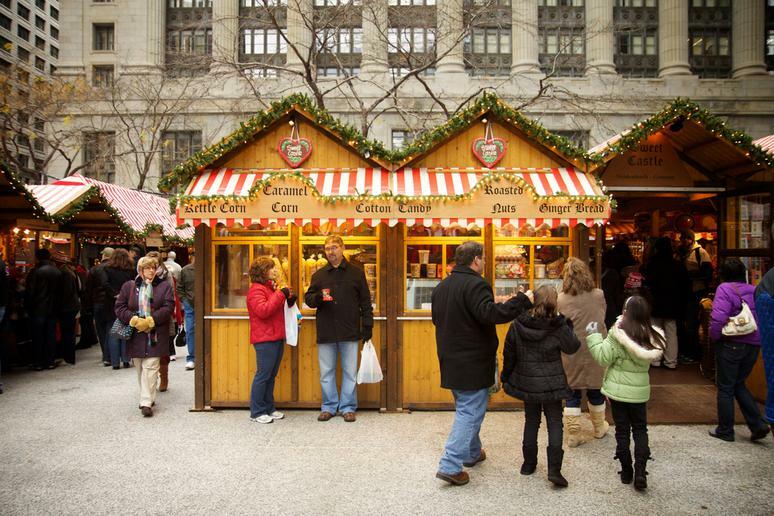 Since 1996, the Windy City has been home to a free German-style Christkindlmarket, though it has since expanded to three different locations because of its popularity. 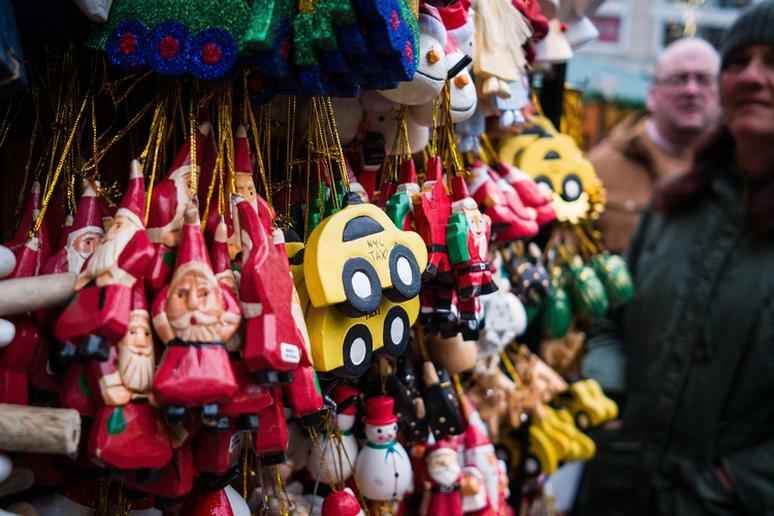 Along with traditional German food, the market also sells gluhwein in collectible souvenir mugs, hand-blown glass ornaments from Germany, and local wares, including homemade baked goods from a nearby French monastery. The Cincideutsch Christkindlmarkt, hosted by a local German-speaking organization, is an open-air market that takes place in downtown Cincinnati's Fountain Square. Thousands of people visit the market for gluhwein, German baked goods, skating at the ice rink and watching the holiday tree lighting ceremony. For more than a month, Denver hosts a free Christkindl Market at Skyline Park with vendors from around Colorado and Europe. Live entertainment such as polka bands and yodelers will make you feel like you’re in Bavaria, as will visits from the Christkind, St. Nikolaus and Krampus. 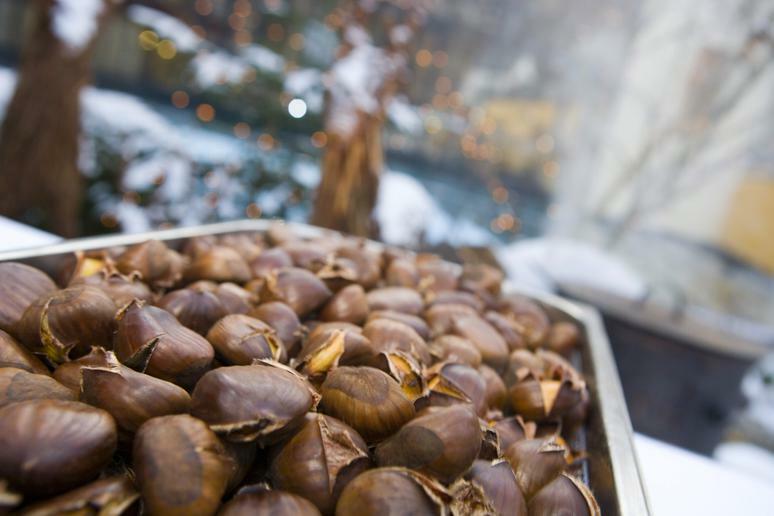 For 10 days, heated tents at The Osthoff Resort are filled with roasted nuts, Russian nesting dolls, German lace and other wares from the old world as well as local vendors at the Old World Christmas Market. On top of shopping, the resort offers hay rides, cookie decorating and ornament-making workshops for kids, and the chance to meet Santa and his reindeer. The historic town of Georgetown, Colo., gets into the Christmas spirit with a traditional holiday market. On top of shopping, the thousands of visitors who pass through each year can take horse-drawn wagon rides while aromas of roasting chestnuts and the sounds of Victorian carolers waft through the air. 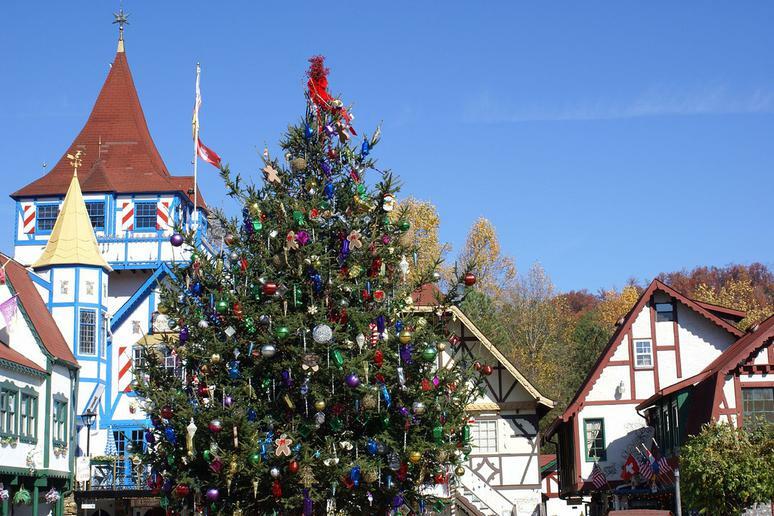 The Northeast Georgia town of Helen is already a re-creation of an alpine village in its architecture, so a Christkindlmarkt fits in perfectly on the Marktplatz with the city’s gingerbread trim and cobblestone streets. The free event features plenty of unique craft items and gifts as well as food and treats in a picture-perfect setting. As a popular tourist destination, the Capital of the World certainly capitalizes on Christmas shoppers with multiple holiday markets in Columbus Circle, Grand Central Station and Union Station, but the largest is the Bryant Park Winter Village. 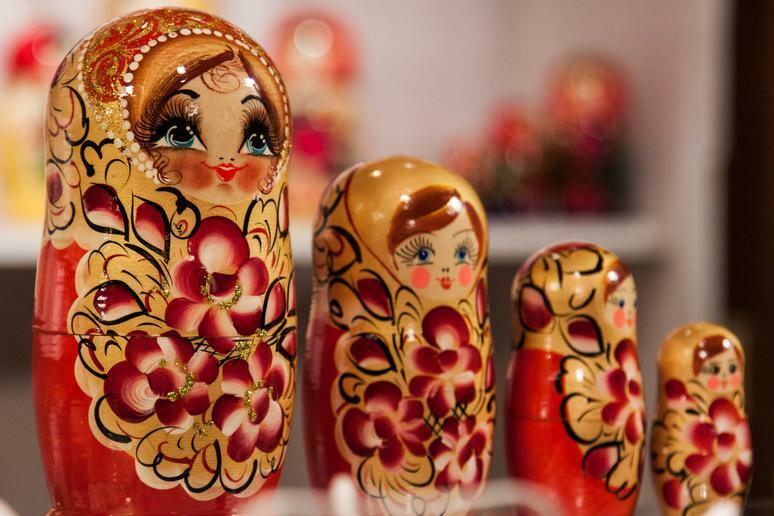 More than 150 vendors offer unique gifts from New York and around the world. After shopping, visitors can take a spin on the ice at the skating rink at the heart of the market. 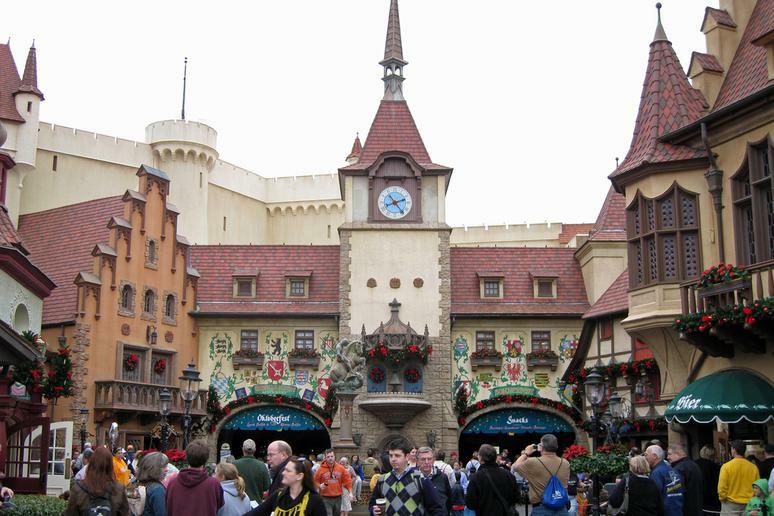 One might think of Walt Disney World more for Christmas lights and shows, but the Germany Pavilion at Epcot actually has eight different shops with wares akin to those offered at German Christmas markets. European toys, cuckoo clocks, painted Easter eggs, beer steins, jewelry, candy, cookbooks and Christmas ornaments and decor are sold year-round here, and often the Disney employees working the area are German themselves. 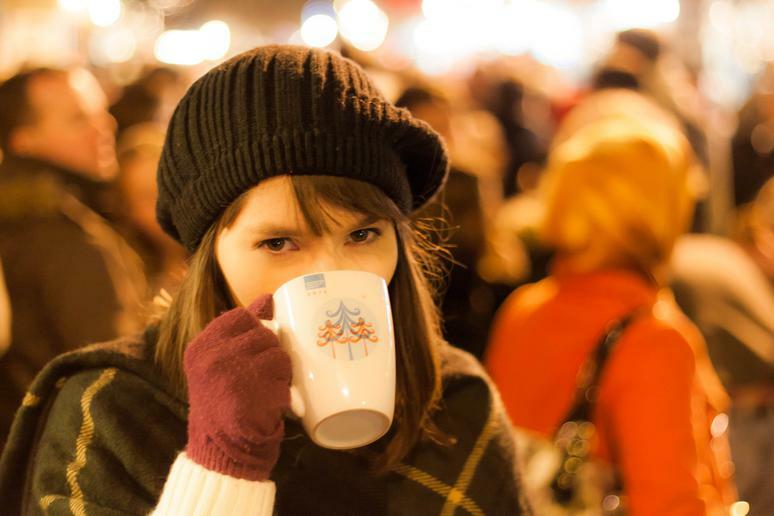 During the holidays, the area is dressed up like a Christmas market, with outdoor stands selling gluhwein. 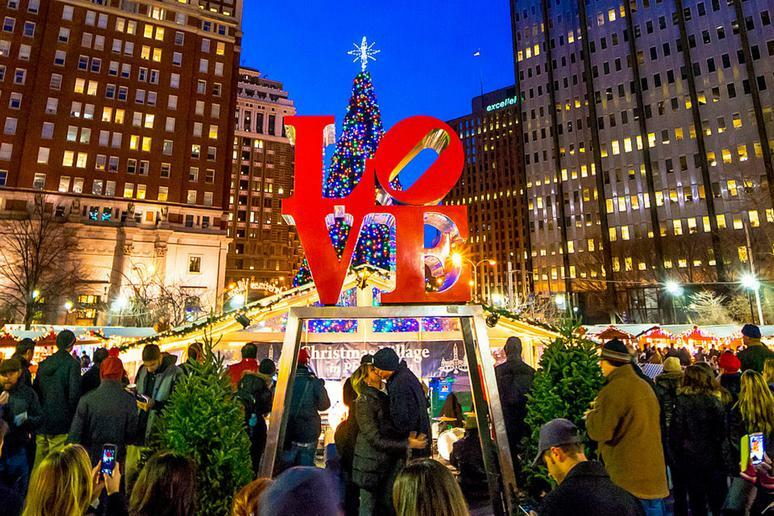 Philadelphia’s LOVE Park becomes a dreamy winter scene from Thanksgiving to Christmas Eve thanks to its colorful Christmas Village. More than 80 wooden booths are set up to sell homemade gifts from around the world as well as treats like waffles, strudel and gingerbread. Philly’s German-style market is the only American market besides Baltimore that receives a visit from the original Christkind from Nuremberg. 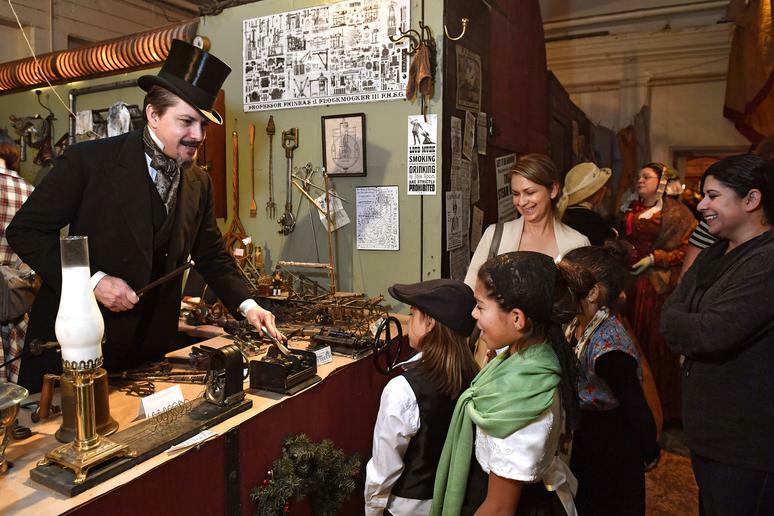 Rather than taking its cue from Germany, the Great Dickens Christmas Fair in San Francisco takes an English approach to the holidays. 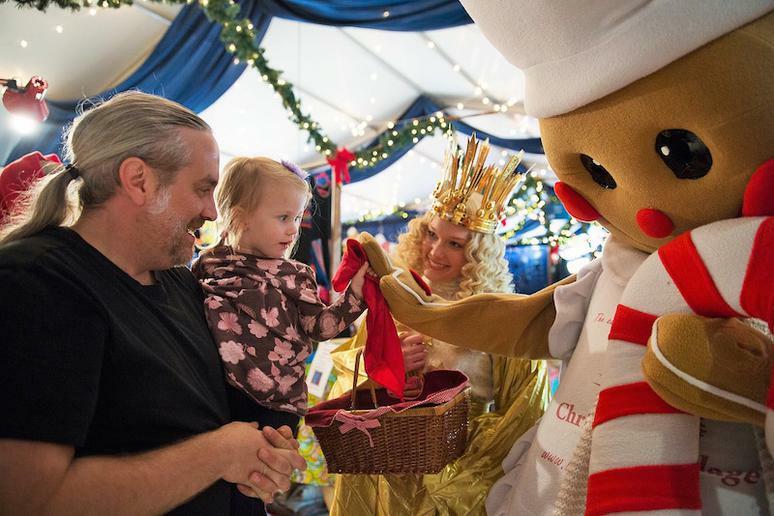 The Fair’s atmosphere, vendors and entertainment are all inspired by Victorian England and the works of Charles Dickens, especially “A Christmas Carol.” More than 800 costumed characters perform throughout the fair, including dancers, actors and musicians. 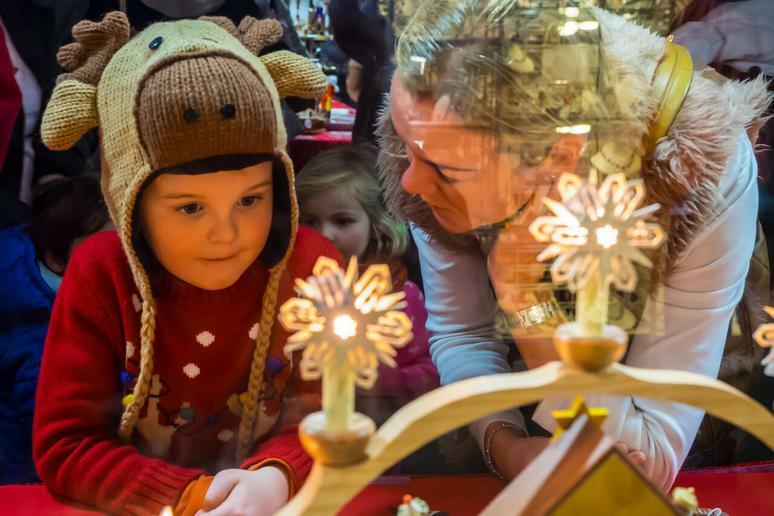 There are also parlour games, fencing classes and a telegraph station, along with more than 60 vendors selling both period-inspired and modern homemade goods. D.C.’s Downtown Holiday Market takes over the sidewalk in front of the Smithsonian American Art Museum and National Portrait Gallery. For sale are unique and handmade wares from more than 150 artisans and vendors as well as coffee, donuts and empanadas from local shops. Every day, the fest hosts live musical acts from across genres to provide a special soundtrack for shoppers.